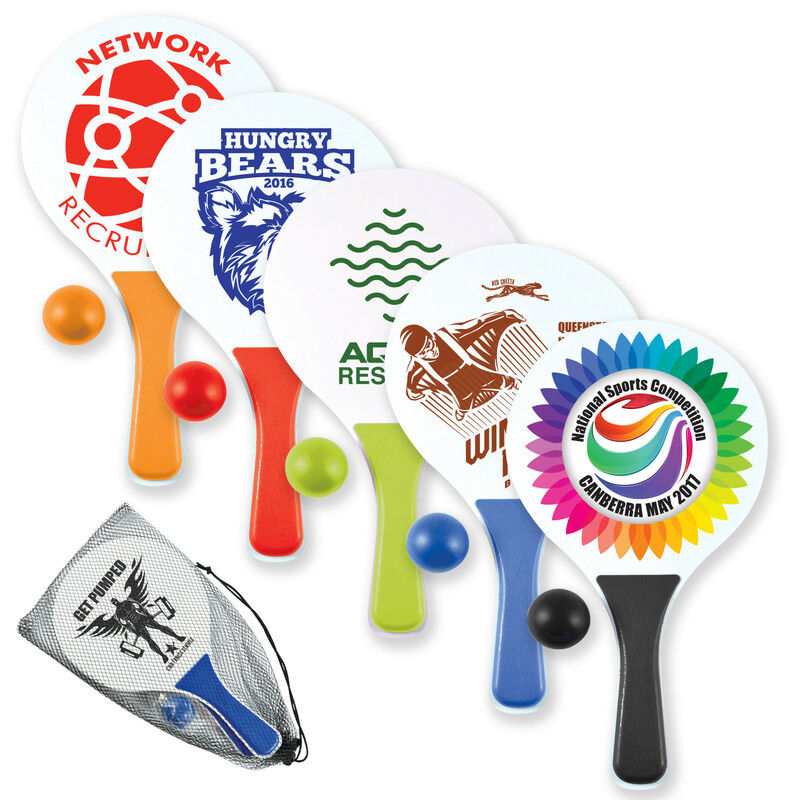 A fun paddle and ball set that's bright and great for outdoor promotions. Get active and have some fun with these paddle and ball sets. The set includes 2 paddles with a ball in a black drawstring pouch. 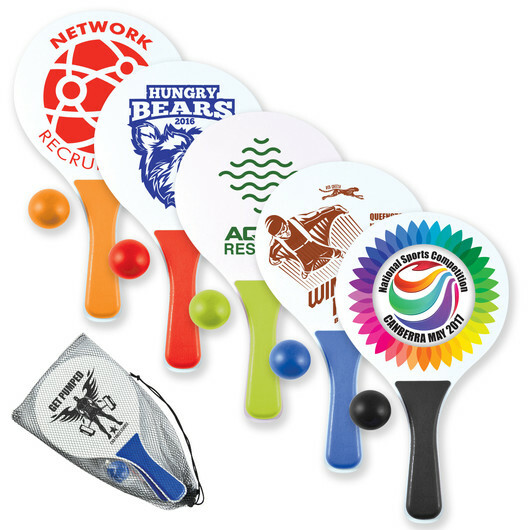 The brightly coloured handles and ball catch the eye and offer a great branding area to get your logo seen. 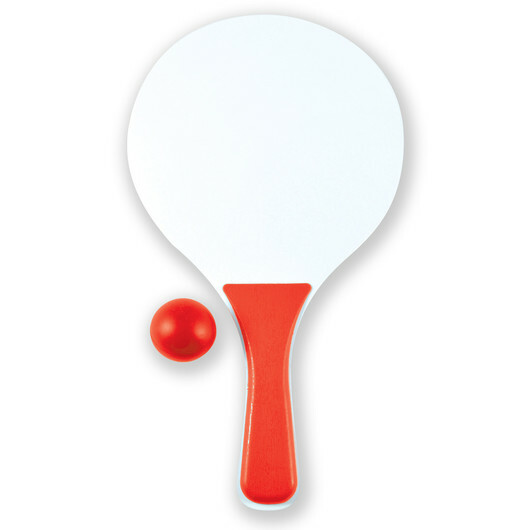 These are great for the beach, park or backyard.